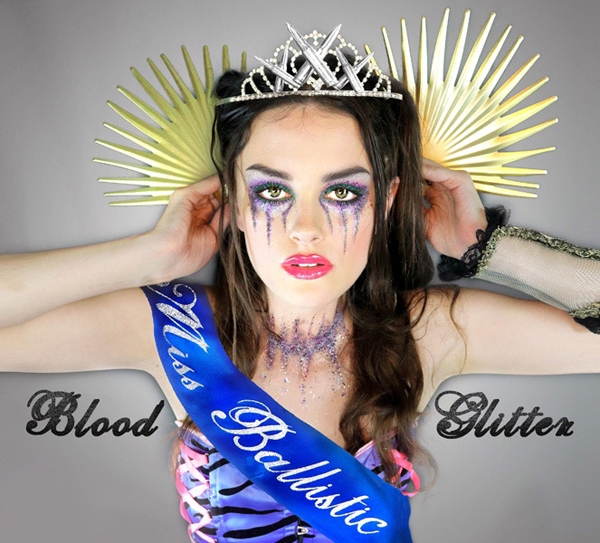 Miss Ballistic – the electro/rock alter-ego of Carley Giannattasio, best known for her work with Angelspit – has announced the rlease of her debut album, titled Blood and Glitter. 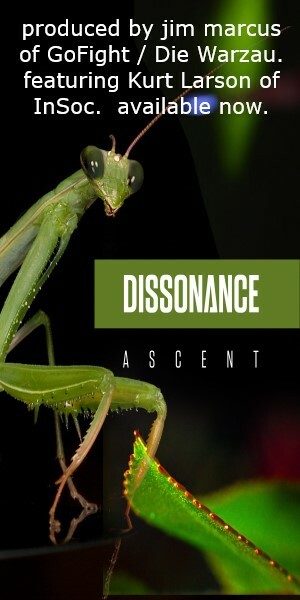 Featuring 10 tracks produced by her Angelspit band mate Zoog Von Rock, Blood and Glitter attacks themes of physical beauty and the misconceptions and skewed perceptions society holds, brimming with strength and determination beneath a veneer of seemingly light-hearted bloodthirsty beauty pageant tales. “Violence is served as entertainment everywhere,” states the artist, “It’s our turn to be aggressive and share an empowering message dipping with glitz and glamour,” further defining the album as “Nasty music for nasty women who are empowered, defiant, and over it.” A Kickstarter campaign has begun for the album, featuring a full preview of what it has to offer, with perks for backers including signed CDs, along with clothing items and other merch.